First Lady Michelle Obama has decided to tackle a very important health issue that is affecting children in the US. That issue is Obesity. I’m glad she is bringing awareness with her “Let’s Move!” campaign because the data is staggering. 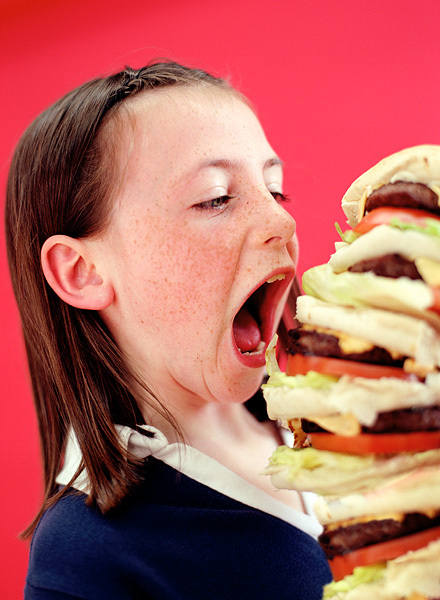 In America, more than 1 in 3 children and adolescents is overweight or obese. According to the U.S. Surgeon General, obesity in children under age 11 has tripled since 1980 from 6.5 to 19.6 percent, and obesity in adolescents (ages 12-18) went from 5 to 18.1 percent. Weight is the No. 1 health issue facing US children today, and with “data for adults suggesting that overweight prevalence has increased by more than 50 percent in the last 10 years” it is imperative that we address this issue. At age seven, I diagnosed a patient in our office with obesity. As part of our comprehensive care, we coordinated services with a nutritionist and an endocrinologist. The patient was showing signs of high insulin; which usually precedes the development of diabetes among other health concerns. Four years later, countless visits to the endocrinologist, and numerous consultation with a nutritionist, her BMI (body mass index), which was above the 95th percentile, came down to the 75th percentile. Today, I saw the patient in my office again where I shared and celebrated the progress she had made. After seeing her I felt, that after all, what we do is worth it…. 1 kid at a time! Because of her progress and the effort of the clinical care team, and the benefits of our patient centered medical home, the patient has a much lower risk of developing diabetes and a much higher chance of being a healthy adult. Just like we ought to bring awareness to childhood obesity, we should also bring awareness to the children and their families that have worked hard to lose weight and adopt healthy lifestyles by celebrating their successes. Good for her and her family! Lots of hard work still ahead! But it is paying off. Thus, we should celebrate! Dr. Betancourt practices in Algonquin IL. This post was originally posted on her practice’s blog. As a pediatrician, one of Dr. Betancourt’s many goals is to help every child reach his or her full potential. Is Providing Food Snacks To Children Contributing To Obesity? I recently had a call from a local child psychologist, one to whom I regularly refer patients. After the usual pleasantries, and her report on her findings about, and treatment plan for, the most recent patient, she hit me with a question that I had never been asked before. “Why,” she inquired, “do so many patients seem to think that my waiting room is a picnic area?” When I inquired about what she meant, she went on to describe a recent family who brought a child in for an appointment, and while sitting in the waiting room, proceeded to spread out a cloth on the floor, and actually start giving the three year old child a variety of snacks. This was not, she was careful to inform me, at a normal lunch hour. I had no good answer, but it did set me to observing my own office. 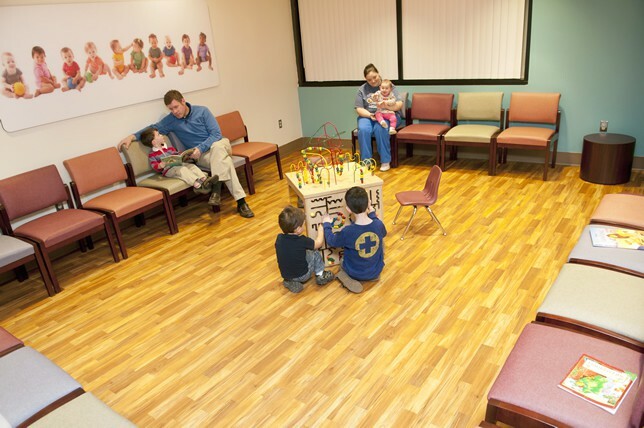 I quickly came to realize that not a day goes by that the exam rooms and waiting area are not littered with candy wrappers, discarded juice boxes, raisins and crumbs of all descriptions. And while I have not found chewing gum stuck to the underside of the exam tables (yet! ), many surfaces in the office end the day with unidentifiable sticky patches on them. But maybe worst of all is asking a child to open his or her mouth and finding the mushy remains of a chocolate cookie, pretzel or bagel coating the tissues one is trying to assess. We do a pretty good job of running on time most days, getting patients out of the office within a half-hour or so of their arrival (see Dr. Lessin’s recent post), so most of the time patients are not sitting around waiting for more than a few minutes, either in the waiting room or the exam room. Are our children so nutritionally deprived that they cannot go thirty or even sixty minutes without some sort of food or drink, lest they starve? But it goes further than the crumbs underfoot in the exam rooms (where we do expect our patients to be barefoot during some examinations) or the sticky patches on the waiting room chairs. Children in pre-school and all the way through elementary school seem to have snack time, sometimes twice a day, with cookies and juice provided two hours after breakfast and two hours after lunch. With the national alarm increasing about the rate of obesity in our children (and adults as well), what message are we giving our children about eating when we provide them with a continuous stream of things entering their mouth throughout the day? We know that eating habits and relationships with food which are developed and reinforced in childhood will persist readily into adolescence and adult life. I fear that we may be creating problems for a whole new generation of people when we make food and snacks available at every waking moment of a young child’s day. Signs in the office requesting patients and family members to refrain from eating and drinking have some effect, at least on our office cleaning bills. But I think we need to carefully think about the messages we give to parents about feeding their children. Breast feeding, even on demand, is fine, but even feeding an infant too frequently can develop a “snacking” habit, where the baby never learns to take a full feeding which will last a few hours until the next feeding time. But once the child moves on to beikost (German for foods other than milk or formula), we need to help parents develop a schedule where times for meals are separate and distinct from times where food and drink is not offered. There are a whole host of potential benefits to this pattern, not the least of which might be less of a focus on food and drink as a continuous feast, and, just possibly, a reduction in a child’s total daily calorie intake. But teaching our children that the times when we eat are discreet and separate moments might also go some way to returning eating to a social, and not just refueling, activity.